So it is now commonly established that the water should not be considered as an element to count on for the contribution of the minerals necessary to the human body, because a healthy adult drinking 2 liters of average mineralized water per day one receives a contribution of calcium 6%, 3% magnesium. Why drink water with a low dry residue is good? With the chemical analysis we define the quality of the inorganic minerals found in water, in particular are determined amount of calcium, magnesium, sodium, potassium, hydrogen, carbonate, sulfate, chloride, nitrate, silica, iron, aluminum, strontium , bromine, iodine, nitrite, phosphorus, mercury, barium and dissolved gases such as oxygen, carbon dioxide, nitrogen and others. 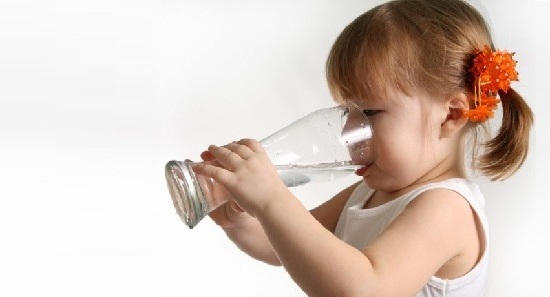 The sum of the inorganic minerals form the residue that is obtained by evaporating a liter of water to 180 ° C.
The residue is expressed in milligrams per liter and is a decisive parameter for the assessment of water quality, in fact, the lower is fixed residue better is the water quality. This is because almost all inorganic minerals can not be assimilated by the human cells and are deposited in the body and give rise to disturbances in the medium to long term. And the water safety for babies and pregnant women? The legal limits imposed on drinking water are restrictive but not specific to these two categories, in particular pregnant women should keep an eye on nitrates, while for the children above nitrates the residue should be considered better to be low. In conclusion, the residual water with very low fixed (values) is preferable for infants and pregnant women.